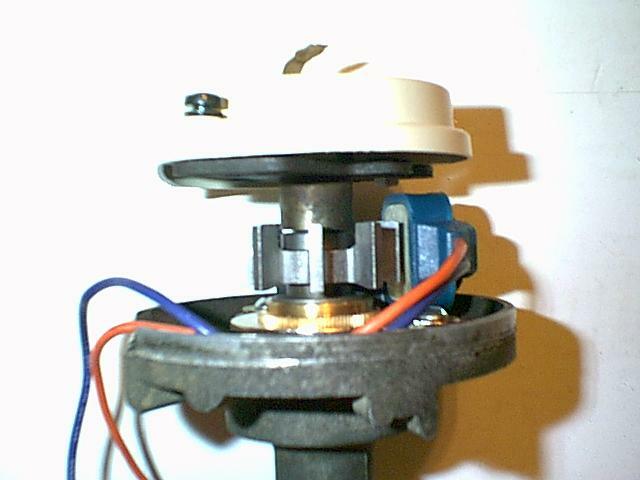 The GM TBI system requires a distributor with a magnetic pickup. Mechanical and vacuum advance systems are disabled or deleted since timing control is done by the ECM. We have tried a couple of different approaches to retrofitting a magnetic pickup to the original Lucas distributor and (as shown above) to an old style Buick points distributor. Our tool & die experts prefer the latter method. 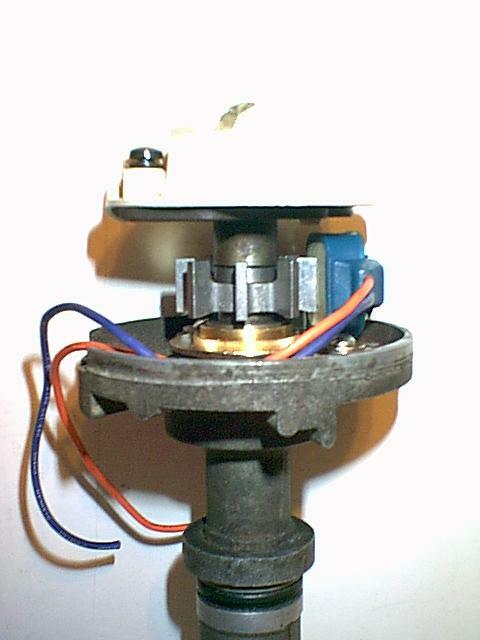 The Buick distributor (30-1813) is gutted of the points and vacuum advance mechanisms. A Ford Duraspark pickup module (EL307) and reluctor (EL205) are installed. This is really not a DIY job unless you have extensive machine shop facilities. It is also necessary to install an ERC1353A drive gear with a female slot for the oil pump drive. The Buick distributor uses a male tongue on the drive gear. 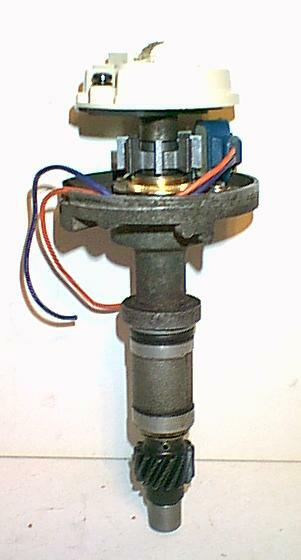 The reluctor must also be correctly phased to the rotor to ensure misfiring does not occur. Other useful part numbers are Wells DR976 cap and DR969 rotor. The ignition module is Wells DR140 which is covered under wiring harness. Since the stock TR8 uses a ballasted coil, we replaced the it with a GC124 coil from GP Sorenson. 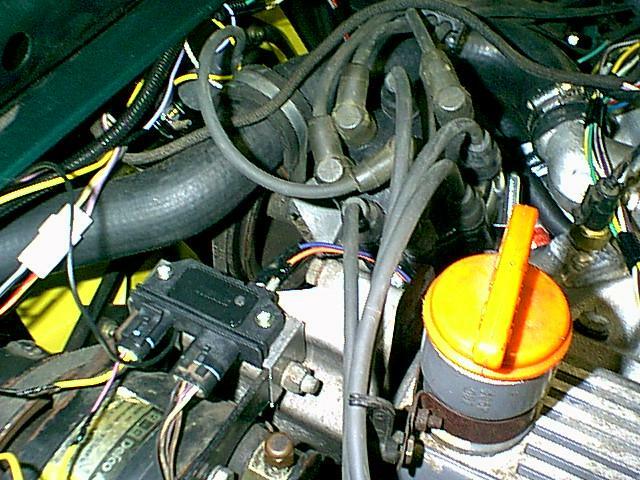 The two coloured wires from the distributor pickup are connected to the bare pins on the ignition module. The black wire is not used.